Sadly, not every artist goes on to enjoy a long and successful musical career, and their star shines only briefly. That was the case with Nick Drake and Gram Parsons, whose tragic and untimely deaths cut short what could’ve and should’ve been a long and successful career. Neither of these talented singer songwriters got the chance to fulfil their potential, and it was only later that their music found the wider audience that it so richly deserved. It was a similar case with Phil Seymour, the Prince Of Power Pop, who had the potential and talent to become one of the biggest artists of the eighties. Sadly, Phil Seymour’s star shawn briefly, and he released just two albums and half-a-dozen carefully crafted singles between 1980 and 1982. Eleven years later, on August the ’17th’ 1993, forty-one year old Phil Seymour succumbed to lymphoma, a disease he had bravely battled for eight years. The Prince Of Power Pop’s death left his friends, family and fans distraught at the loss of one so young, and indeed talented. There was no doubt about that, as Phil Seymour was a hugely talented singer, songwriter and musician. Phillip Warren Seymour was born in Oklahoma City, on May the ‘15th’ 1952, and growing up, discovered music. Soon, his life revolved around listening to and playing music. By then, Phil Seymour could play the drums, bass and guitar. He was a one man rhythm section, who live and breathed music. By the age of fifteen, it was apparent that Phil Seymour would eventually embark upon a musical career. However, his career began sooner rather than later, when Phil Seymour met Dwight Twilley met by chance in 1967. This chance meeting took place at the Bowman Twin Cinema, in Tulsa, which was showing The Beatles’ 1965 film A Hard Day’s Night. Despite being two years old, Phil Seymour decided to take in the film. So did Dwight Twilley, another local musician, who lived just a couple of blocks from Phil Seymour, and who also a pupil at Charles Edison High School, in Tulsa. The two young musicians shared much in common, and realised this when they met at the Bowman Twin Cinema.By the time they parted that night, the two young musicians had already decided to write and record together. 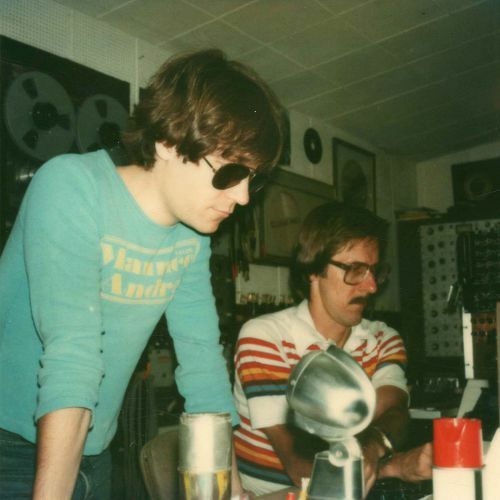 Having decided to write and record together, Phil Seymour and Dwight Twilley using the name Oister. For the next few years, they spent much of their free time honing their skills as musicians, playing piano, drums, bass and guitar, and also learning to harmonise. This took time, practise, patience and persistence. Eventually, their two voices became one, as they seamlessly harmonised. This had taken time and many hours of practise, but they realised was worth it. The next thing that Phil Seymour and Dwight Twilley started to do, was write songs. After a couple of years, two became three, when Phil Seymour and Dwight Twilley were joined by guitarist Bill Pitcock IV, who had started life as a drummer. He had been taught the drums by his father, who had his own band. However, the drums wasn’t for Bill Pitcock IV and he switched to guitar. This worked out well for Bill Pitcock IV, and soon, he was playing with his father’s band. The young guitarist was a talented player, and soon was ready to spread his wings. Bill Pitcock IV started to join Phil Seymour and Dwight Twilley as they practised and played, in an attempt to hone their skills. He joined them during these practise sessions, and as they started to write songs. The next step was to form a band together, Oister. The nascent Oister started to practise in a room above Pitcock Electrical, which was run by Bill Pitcock IV’s grandfather. He spent his days installing recording equipment and running his own recording studio he called The Shop. It was where Oister spent much of their time, recording their new songs. Later, Oister recorded a session at B.J. Recordings in Arkansas. What they didn’t do much of, was playing live. On the occasions that played live, they proved a popular draw on the local live scene. Instead, Oister concentrated on recording demos, in the hope that they would be signed by a record company. While The Shop was a good place for Oister to record demos in the early days of the band, by the late-sixties they had started to outgrow the small studio. However, they didn’t have the funds to hire a studio in L.A., New York or Nashville. Despite that, the three members of Oister found themselves in Tupelo, Mississippi where they met Ray Harris. He had been sent a tape by Judd Phillips, who was Sam Phillips’ brother, and was running Sun Records. Judd Phillips had been impressed by Oister and decided to send the band Ray Harris’ way. Maybe his old friend could help Oister, and in doing so, help himself. While Oister never recorded with Ray Harris, he introduce the band to rockabilly, but encourage Oister to toughen up their vocals. These two pieces of advice proved invaluable for Oister, who when they returned home to Tulsa, changed their musical approach slightly. Soon, it had taken on a roots sound that added a much-needed character and depth to Oister’s music. They were on the right track now. Back home in Tulsa, Oister continued to hone and refine their sound. Sometimes, at sessions the three members of Oister were joined by bassist Johnny Johnston and pianist Jim Barth, who augmented the core trio’s sound. When they played live this proved popular. However, before long, the members of Oister had decided to leave town. By 1974 Oister decided that the time had come to try to make the breakthrough that they had been working towards. This they realised wasn’t going to happen if they stayed in Tulsa, so Oister decided to head to Los Angeles, which was one of America’s musical capitals. Within just two weeks of arriving in Los Angeles, Oister was signed by Shelter Records, which was owned and run by Leon Russell and Denny Cordell. Oister decided to change their name, and it was the Dwight Twilley Band that signed to Shelter Records. The newly named band was told by executives at Shelter Records that they had to get used to working in a sixteen track studio. Incredibly, the song that the Dwight Twilley Band recorded, I’m On Fire, gave the band their first hit single. When I’m On Fire was released in 1975, the single with very little promotion, peaked at number sixteen in the US Billboard 100. This was just the start for the Dwight Twilley Band. The initial lineup of the Dwight Twilley Band saw bassist and drummer sharing lead vocal and harmonising with guitarist Dwight Twilley, while Bill Pitcock IV played guitar. This was the lineup that featured on the Dwight Twilley Band’s 1976 debut album Sincerely. It saw the band fused power pop with classic pop and rock influences on a carefully crafted and effervescent album that found favour with critics. On its release, Sincerely reached 138 in the US Billboard 200, and built on the success of the single I’m On Fire. Before long, the Dwight Twilley Band’s started thinking about a sophomore single, and chose Shark (In The Dark). 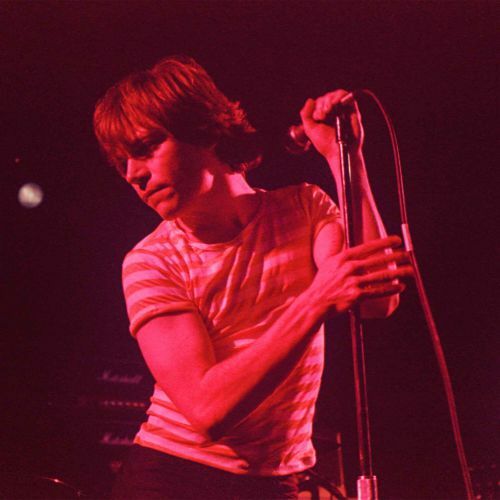 However, it was pulled by Shelter Records who feared that the single would be seen as a cash-in on the film Jaws, and that the Dwight Twilley Band would be regarded as a novelty act. While this made sense, it was a disappointing for the band. However, there was worse to come. At the end of 1976, Shelter Records was in the process if changing distributors, from ABC to Arista. This the two owners hoped would steer the label into calmer waters. However, after an argument between Leon Russell and Denny Cordell, Leon Russell quit Shelter Records. This was a disaster for the Dwight Twilley Band, who were caught in the crossfire, and had no idea where they stood contractually. It wasn’t until 1977 that the Dwight Twilley Band returned with Twilley Don’t Mind, which was released on Arista. Just like their debut album Sincerely, critical acclaim accompanied the release of Twilley Don’t Mind. Although it featured power pop at its best, some songs, including Rock And Roll 47 showcased a tougher, R&B sound. This combination of power pop and R&B proved popular and Twilley Don’t Mind reached seventy on the US Billboard 200. The Dwight Twilley Band’s popularity was growing, and it looked as if the band had a bright future. After touring Twilley Don’t Mind during 1977 and 1978, Phil Seymour decided to call time on his career with the Dwight Twilley Band. A solo career beckoned for twenty-six year old Phil Seymour, who was managed by Denny Cordell. With Denny Cordell’s help and guidance, Phil Seymour embarked upon a solo career. By then, Denny Cordell who was born in England, and was a successful producer who had worked with The Moody Blues, Joe Cocker and Leon Russell, had decided not to produce Phil Seymour. He knew someone who he believed would bring out the best in Phil Seymour, Chris Spedding. Once again, Phil Seymour journeyed to London, and Olympic Studios, where he worked with guitarist Chris Spedding and some top session musicians. Phil Seymour was no stranger to London, as the Dwight Twilley Band had regularly recorded in the city. While it wasn’t exactly a second home for Phil Seymour, he enjoyed his time in London, which he hoped had been fruitful. Sadly, the tracks recorded in London weren’t released until 2016. Following the London sessions, Phil Seymour continued to work as a session musician, and added backing vocals on Darlin’ a track from Dwight Twilley’s debut solo album. After that, Phil Seymour then met another Tulsa musician, Scott Musick of the L.A. based band Airtight, which also featured songwriter and bassists Michael Been and keyboardist Dale Ockerman. This looked like the perfect fit for Phil Seymour, until However, Scott Musick and Michael Been went onto form Call. For Phil Seymour it was a case of what might have been? It was a similar case when producer Phil Spector spotted Phil Seymour’s potential, and wrote to Denny Cordell. The two men tried to work out a deal, but couldn’t come to an agreement. It was another case of what might have been for Phil Seymour. Later in 1980, producer Richard Podolor and engineer Bill Cooper heard a cassette that featured Phil Seymour’s music, and within thirty-seconds had spotted his potential. They asked the other passenger in the car Mark Levy, a talent agent, what he knew about Phil Seymour? He hadn’t heard of Phil Seymour, but soon would be hearing more about him. Richard Podolor and Bill Cooper were the most successful team at American Recording Company, and had already enjoyed success with Three Dog Night, Iron Butterfly and Steppenwolf, decided to see Phil Seymour live. They went to a show at the Starwood, where Phil Seymour was opening for 707. That night, after Phil Seymour had blown the headliners away, he headed backstage which was where he met Richard Podolor and Bill Cooper. Their message was simple, that they wanted to record him. It didn’t take Phil Seymour long to agree to work with producer Richard Podolor and engineer Bill Cooper, who had an enviable track record of success. This Phil Seymour helped would transform his fortunes when he joined them at the American Recording Company, where they would soon, begin work on his long-awaited eponymous debut solo album. Of the ten tracks on his eponymous debut solo album, only Precious To Me, baby It’s You and I Really Love You were penned by Phil Seymour. They were joined by three songs from two of old friends and bandmates. This included Dwight Twilley’s Love You So Much and Then We Go Up, and Bill Pitcock IV’s Won’t Finish Here. These were tracks that Phil Seymour had been playing for years, and were part of his live shows. 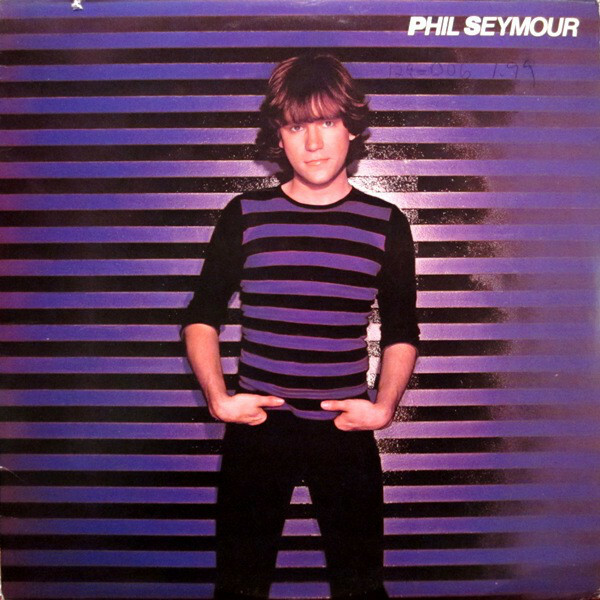 Phil Seymour also decided to include four cover versions on his eponymous debut album. Phil Seymour was recorded at Recording Company with band that featured some top session players. Adding lead and rhythm guitar was Phil Seymour’s old friend and former bandmate Bill Pitcock IV. He played his part on Phil Seymour, which was produced by Richard Podolor and engineered by Bill Cooper. Before the release of Phil Seymour, it found favour amongst critics, who were won over by this near flawless album of slick, polished power pop which showcased a talented singer, songwriter and musician. It was no surprise that when Neil Bogart’s new label The Boardwalk Entertainment Co released Phil Seymour later in 1980 the album reached sixty-four on the US Billboard 200. This was no surprise. By 1980, Phil Seymour was able to craft melodic songs with poppy hooks that also packed a punch. These songs were also slick, polished and featured Phil Seymour’s trademark harmonies that had been honed over many years. They featured on songs like It’s You, Precious To Me, I Really Love You, Then We Go Up, Don’t Blow Your Life Away and Love You So Much. With their slick, melodic, memorable and often radio friendly sound, they played their part in the sound and success of Phil Seymour, which showed what Phil Seymour was capable of. When it came to choose a single from Phil Seymour, Precious To Me was chosen and released later in 1980. Tucked away on the B-Side of later version of the single was the melodic ballad Suzie Glider. The single Precious To Me went on to reach twenty-two in the US Billboard, and built on the success of Phil Seymour. Meanwhile, Precious To Me was so successful when it was released as a single, that it gave Phil Seymour his first gold disc. For Phil Seymour this was the icing on what was a delicious cake. Despite the success of Phil Seymour, the Prince Of Power Pop continued to work as a session musician and backing vocalist. By then, he had made many friends within the L.A. scene, and was a familiar and popular draw when he played at the city’s top clubs. Before long, it was time for Prince Of Power Pop to record his sophomore album Phil Seymour 2. This time around, Phil Seymour had only written Better To Me Than You, and cowrote Suffering with Jimmie Podlor. Just like his eponymous debut album, Phil Seymour featured a Dwight Twilley composition, Looking For The Magic. These and the rest of the ten tracks were recorded by a tight, talented band at Recording Company by producer by Richard Podolor and engineer Bill Cooper. 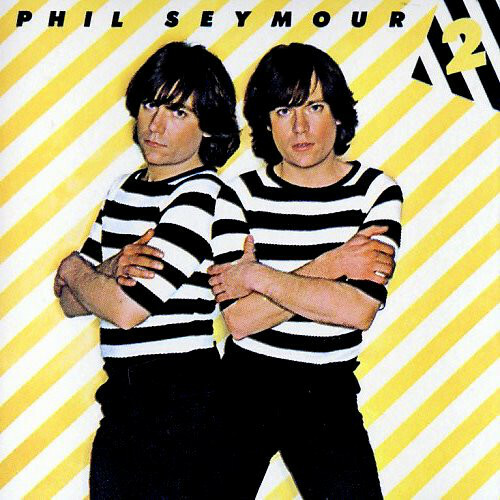 Critics on hearing Phil Seymour 2, were impressed by the Prince Of Power Pop’s sophomore album. Just like its predecessor, the songs on Phil Seymour 2 were slick, polished and packed a power pop punch. This was quite remarkable, as Phil Seymour seemed to be struggling to cope with his newfound fame. On several occasions Phil Seymour failed to turn up to shows, and other times seemed confused as he took to the stage. Some music industry insiders feared that Phil Seymour couldn’t cope with the fame, and worried about his future. When Phil Seymour 2 was released in 1982, but didn’t stand a chance of making an impression on the charts. The Boardwalk Entertainment Co which was struggling financially, failed to promote the album, and many record buyers never even knew the album was out. This was a huge disappointment given the success of Phil Seymour. With Phil Seymour 2 failed to even trouble the lower reaches of the US Billboard 200, record buyers missed out on hearing songs of the quality of Dancing A Dream and Better To Me Than You. Little did anyone know that Phil Seymour 2 was the last album the thirty year old would release. After the commercial failure of Phil Seymour 2, Phil Seymour found himself at a crossroads. The death of Neil Bogart spelt the end for his record company The Boardwalk Entertainment Co, and Phil Seymour found himself without a recording contract. Even though he had no recording contract, Phil Seymour continued to record songs for his next album. Many within the recording industry thought it was only a matter of time before Phil Seymour was snapped up by a record company.However, when no recording contract was forthcoming and Phil Seymour continued to work as a session musician. In 1984, Phil Seymour became the drummer in Carla Olson’s band The Textones. They were a familiar face on the LA live scene, and Phil Seymour transformed The Textones’ sound and played on their debut album Midnight Mission. However, Carla Olson knew that Phil Seymour was too good to be playing drums in her band, and made it her mission to help her drummer secure a new recording contract. That was admirable, as The Textones had been booked to tour America, Britain and Europe, and Phil Seymour played an important part in the band’s sound. Replacing Phil Seymour wasn’t going to be easy. However, the solo deal wasn’t forthcoming, and Phil Seymour played on The Textones’ albums Through The Canyon and Back In Time. Three songs by The Textones that featured Phil Seymour would also feature on the 1985 movie Sylvester. By then, Phil Seymour’s life had been turned upside down. During a tour in 1985, Phil Seymour discovered a lump on the back of his neck, which later, was diagnosed as a lymphoma. Phil Seymour left The Textones and returned to Tulsa for chemotherapy treatment. Suddenly, music wasn’t as important as it had once been. Just a year later, and Phil Seymour was back in the studio in 1986, and covered Michael Anderson’s Maybe It Was Memphis and Bill Pitcock IV’s fist pumping anthem-in-waiting How About You. Sadly, both lay unreleased until 2011, when it was released alongside Teaching Me. By then, it tragedy had struck. Despite making a comeback in 1986, Phil Seymour never again released another album. Eight years after he was diagnosed with lymphoma, forty-one year old Phil Seymour passed away on August the ’17th’ 1993. Forty-one year old Phil Seymour succumbed to lymphoma, a disease he had bravely battled for eight years. The Prince Of Power Pop’s death left his friends, family and fans distraught at the loss of one so young and talented. Phil Seymour, the The Prince Of Power Pop, was a truly talented singer, songwriter, musician and producer, who had the potential and talent to become one of the biggest artists of the eighties. 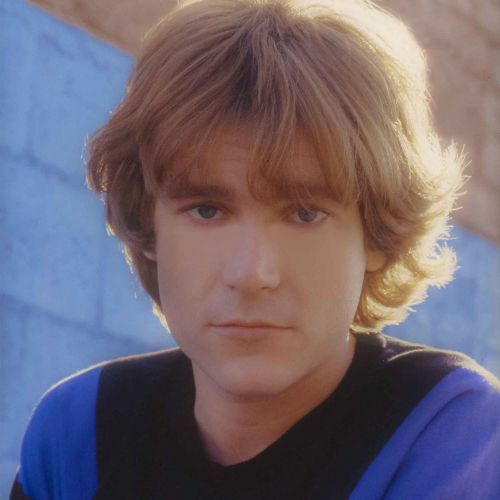 Sadly, Phil Seymour’s the Prince Of Power Pop’s star shawn briefly, when he released just two albums and half-a-dozen carefully crafted singles between 1980 and 1982. During that period, it looked like Phil Seymour was going to become one of the biggest stars of the eighties. That may well have been the case, if Phil Seymour hadn’t been diagnosed with lymphoma in 1985, which was the illness that robbed music of one of its most talented sons in 1993, and the man many still refer to as the Prince Of Power Pop. ← SHA NA NA-FROM THE STREETS OF NEW YORK, HOT SOX AND SHA NA NOW.